Properties FormDrops Weight69 (gms) Dimensions3 (cm) x 3 (cm) x 9 (cm) Indications of Dr. ReckewegR36 Over-sensitivity in the nervous system of children in respect of happenings due to varying causation; nervous diseases, as well as St. Vitus'dance, are all cases to be treated by detoxicant medication with a mode rate action and a homoeopathic basis like R36. 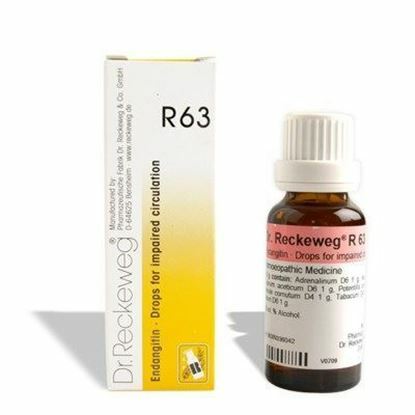 Mode of Action of Main Ingredients in Dr. Reckeweg R36 The indications are the measure of the wide scope of its constituents: Agaricus: This extract from Amanita muscaria has its specific effect on convulsions of the muscles and nervous twiches. Ignatia: Nervous irritation with tendency to cry and hysterical fits. 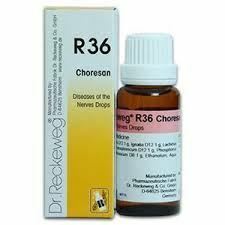 Lachesis: Acts in all acute cases of nervous irritation and restless sleep. 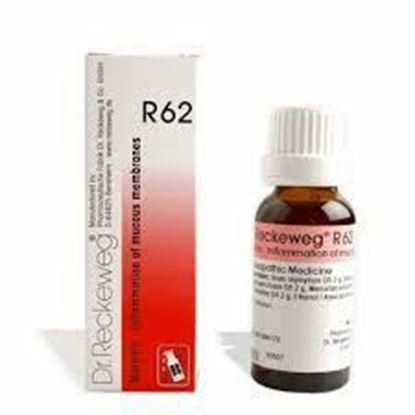 Magnesium phosphoricum: General remedy for cramps and irritation of the spinal marrow. Phosphorus: Constitutional remedy in cases of growing too fast and for the very thin generally. Zincum valerianicum: Convulsions, restlessness in the legs, nervous twitches. 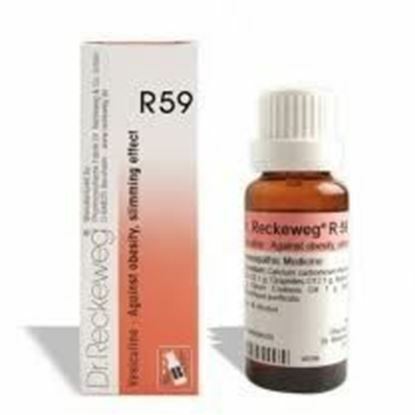 Dosage of Dr. Reckeweg R36 According to the degree of gravity 2-3 times daily 5-8-10-15 drops in a little water. In acute cases, with frequent fits and continual convulsions, every 1-2 hours, eventually in alternation with the remedies below. In acute cases of fits the medicine can be taken every five minutes (possibly in alternation) with other products. Stimulants of all kinds are to be avoided, especially alcohol and tea. Terms and Conditions We have assumed that you have consulted a physician before purchasing this medicine and are not self medicating. 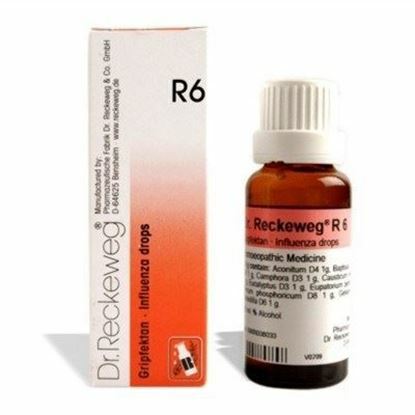 Properties FormDrops Weight69 (gms) Dimensions3 (cm) x 3 (cm) x 9 (cm) Indications of Dr. Reckeweg R63 Peripheral vascular disturbances, acroparaesthesia, endangiitis obliterans, intermittent claudication, Raynaud's disease, cramps in calf muscles, diseases of veins.